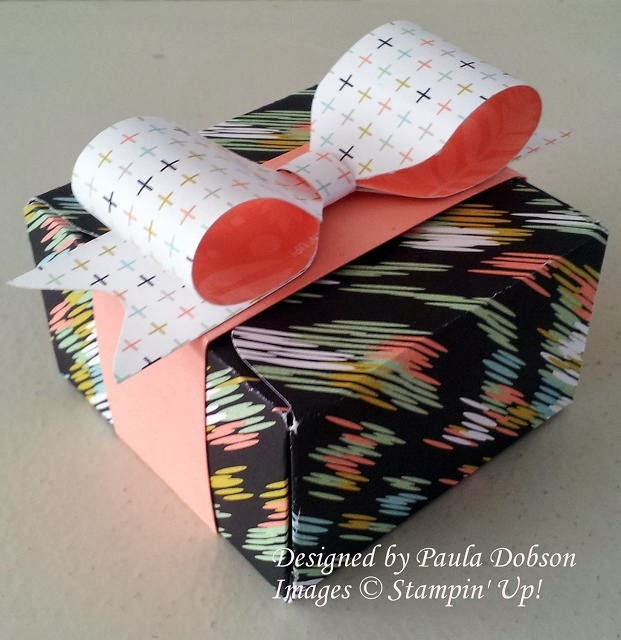 Stampinantics: JAI #198 - A BLOG HOP! JAI #198 - A BLOG HOP! A Just Add Ink blog hop is always fun, but even more so this time because we are featuring projects made with the new Envelope Punch Board and/or the Flip Card Thinlits! It is a joy to work with these clever ladies and you may have just come from the delightful Patrice Easton, if you are following the loop, or you can start at the beginning at Just Add Ink. I chose to feature the Envelope Punch Board for my projects. I am simply amazed at just what this little baby can actually do and it is only $38.95!! It's makes more than just envelopes as you can see. I have made the box, the bow AND the envelope with this fantastic tool. I love that I can take care of not only the outside of the card and the packaging, but I can also put the finishing touch on the package as well. Isn't the little bow so cute! I used this video by Narelle Fasulo, to learn how to make them. I have coordinated everything using a Designer Paper called Sweet Sorbet which you can earn for FREE when you spend $110 during our Sale-a-bration period 28th Jan - 31st March. Who doesn't like to earn free stuff, right? Now be sure to head on over to see what fun projects Susan Wong and the rest of the Just Add Ink Design Team have in store for you! A lovely project Paula. I too am loving this Envelope Punch Board because you can make a whole coordinated gift set with it from a box, to bows and envelopes. You certainly have done well with the EPB. Love all your projects and that new dsp is gorgeous. 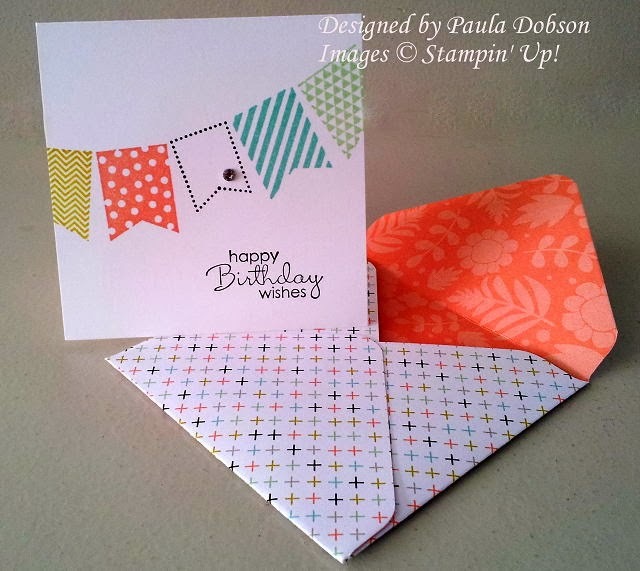 I love the Envelope Punch Board and I love what you have made with them Paula. Just lovely!! 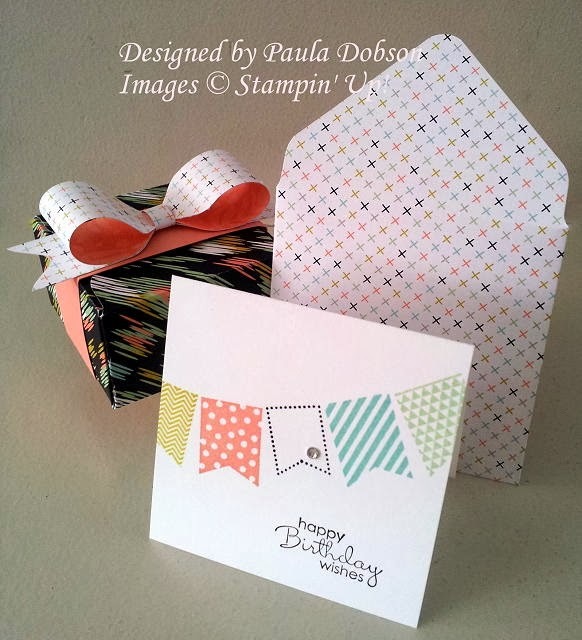 Paula, I love your clean and simple card, its nice and fresh looking, and your box is also nice. A gorgeous bunch of goodies Paula. Love your beautiful big bow - very clever. Gorgeous, Paula. Such cute, fun projects; love your choices of colours and papers. Paula, your projects are darling! How do you make the box? I have the envelope punch board, but didn't realize it had measurements to make boxes? Love the bow too! Thanks for sharing! Look at these lovely projects! You have rocked the EPB with your matching set! NEW YEAR - NEW BABY!